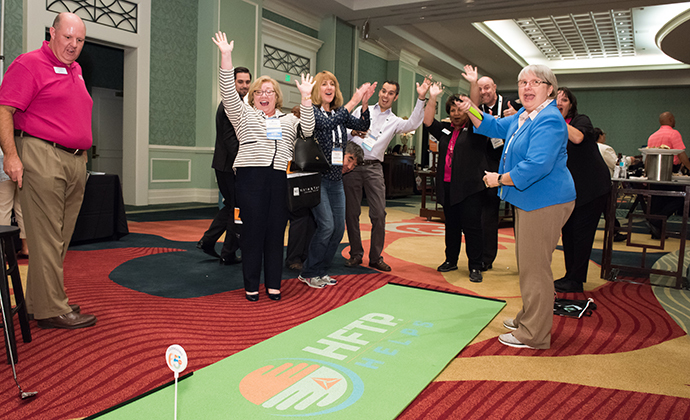 Less than two weeks ago, HFTP and its stakeholders came together for HFTP Helps to raise $9,500 for the life-changing organization Camp Boggy Creek. 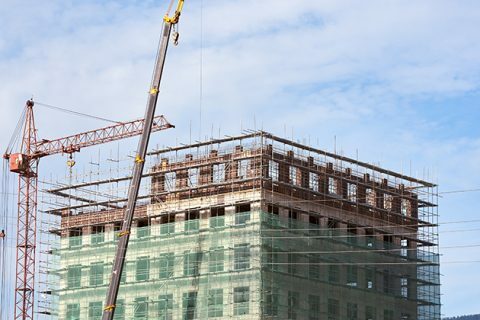 This was done as part of the HFTP Helps program, now in its third year, which puts focus on a charity in the surrounding area of the HFTP Annual Convention host city. The 2017 HFTP Annual Convention was October 25-29 at the Omni Orlando Resort, Championsgate (Orlando, Florida area), in the vicinity of Camp Boggy Creek. Camp Boggy Creek is a free, safe and medically-sound camp environment that enriches the lives of children with serious illnesses and their families. Founded by Paul Newman, SeriousFun Children’s Network is a growing global community of independently managed and financed camps and programs creating opportunities for children with serious illnesses and their families to reach beyond illness and discover joy, confidence and a new world of possibilities. At the 2017 Annual Convention, Camp Boggy Creek and its services were presented, and attendees were given opportunities to contribute in a variety of ways. And they came through significantly. 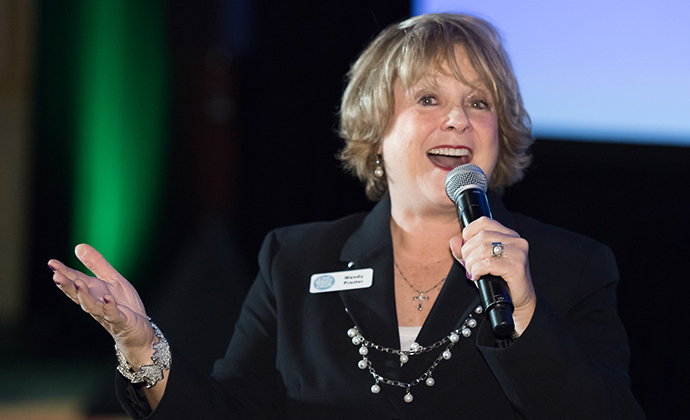 At the Monday Opening Keynote, Wendy Proctor, CFRE, the camp’s major gift officer, introduced us all to the services the camp provides and its impact on the children who have the opportunity to go to the camp. But before this, attendees were treated to a musical performance by Proctor. She is a professional singer who was a member of Disney’s eight-part a cappella vocal ensemble “The Voices of Liberty.” For the Opening Keynote, she sang classic jazz tunes as attendees streamed into the ballroom. After Proctor’s moving presentation, attendees enthusiastically contributed to the fund drive. Donations came in that same evening and following day via the HFTP Helps Putt Competition. Participants were able to buy three putts on the indoor putting green for $20. For each putt made, the player was entered into a drawing for an Oculus Rift. 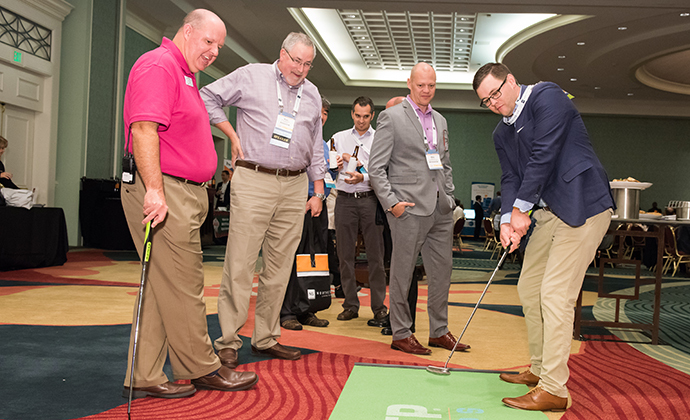 The fun game drew crowds at the Annual Convention Table Top Exhibits. 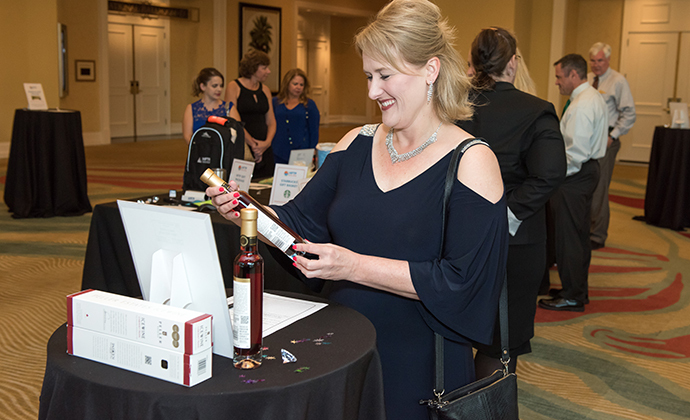 On Friday evening, in conjunction with the HFTP Annual Tribute to Success, was the HFTP Helps auction. More than 25 items were up for donation, including hotel room stays, golf rounds, gift baskets, wine and more. Attendees bought up the auction items, coming home with vacation and entertainment options. And wonderfully, donations came in the old-fashioned way: cash dropped into a hat that was passed around the ballroom. Special recognition goes to those who organized item donations for the auction, including: Camp Boggy Creek; Thomas Flanagan; Dianne Kelly; Karen Conway; Ralph Miller; Inna Otrovsky; Sanjay and Hiren R. Rama; John Riccio; Rick Bissonett; Tom Guyton; Beverly Garrington; Frank San tos; Omni Orlando Championsgate; Jay Aven; Elaine Bailey; and Frank Wolfe. A big thank you to all who donated to this year’s HFTP Helps. It is wonderful to see HFTP members’ continued commitment to giving back to our community. Eliza Selig (eliza.selig@hftp.org) is the HFTP director of communications.